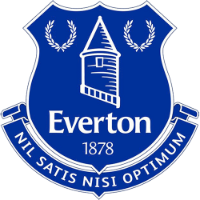 A report from Everton's 2-0 win over West Ham United. 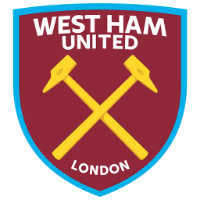 First-half goals from Bernard and Kurt Zouma gave Everton a comfortable 2-0 win away at West Ham United on Saturday evening. The Blues swaggered to their first away win since their trip to Cardiff City at the end of February, scoring two early goals and testing Lukasz Fabianski on multiple occasions within the first ten minutes. Zouma opened the scoring after fives minutes with a crisp, downwards header from a deeply sent corner. Bernard then doubled the lead and put the icing on the cake 25 minutes later, tapping home Seamus Coleman’s low cross at Fabianski’s far-post after the Blues had bombarded the Polish international’s goalmouth. It was all Everton from the first whistle at the London Stadium. Marco Silva’s Blues went on the offensive immediately, not letting the hosts settle. It didn’t take long for them to really trouble Fabianski’s net as Richarlison’s goal-bound effort hit Aaron Cresswell and bounced away for a corner. The Blues took the lead from the resulting set-piece. Zouma headed from Gylfi Sigurdsson's deep ball, bouncing his header off the ground and over a hopeless Issa Diop - who had given the Everton defender a free attempt on the ball in the first place. From there, Everton looked to make their dominance pay. Sigurdsson linked up with Andre Gomes through some nice interplay on the left-hand side of the Hammers area, but before Gomes could tap home, the ball was knocked away by a number of West Ham defenders feet. The Brazillian then laid on a peach of a low cross that flashed past Fabianski. However, thankfully for the Polish ‘keeper, neither Richarlison or Dominic Calvert-Lewin could turn the ball home and give the Blues a little bit room to breathe. The visitors eventually got their goal just after the half-hour mark. Gomes picked up a loose ball in the middle of midfield, before spraying it wide to a galloping Coleman. The Irishman linked up with Richarlison for a neat one-two, which left the right-back in acres of space inside the West Ham box. He flashed a low cross across the six-yard box, begging an Everton attacker to tap home. It was Bernard who took the glory, tapping home his first Premier League goal with his first shot on target in 2019. Everton could have had a handful by half-time, but lacked that clinical edge that would have saw them head into the internal with a four or five-goal cushion. Yet, unlike their recent trip to Newcastle, they weren’t left to rue what could have been. In the second-half, the Hammers were almost as toothless as they were in the first. 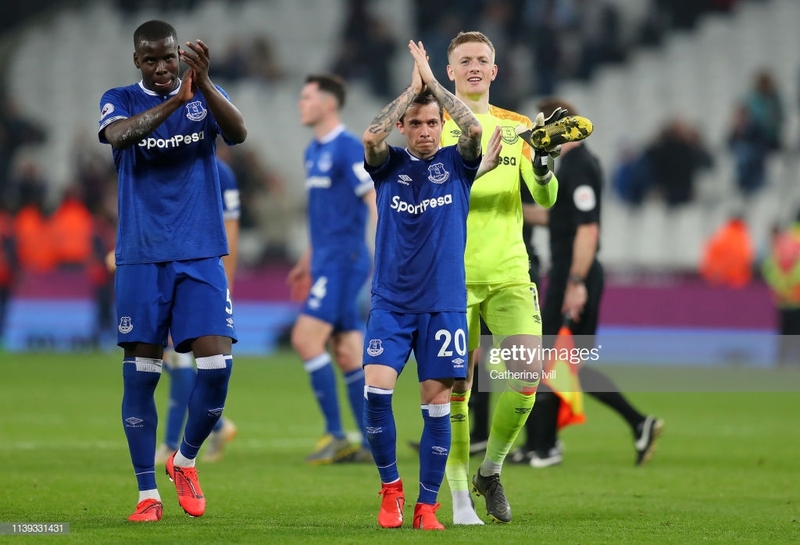 Both the home players and fans were left frustrated by their sides inability to string together a passing move, instead, opting for wayward passes that either ran out of play or went straight to an Everton shirt. The Blues almost had a third just before the close of play as Calvert-Lewin tested Fabianski’s net. However, the England youth international could only find the side netting despite leaving the goalkeeper for dead with his effort. It doesn’t feel like it was too long ago that Everton couldn’t keep a clean sheet, nevermind restrict an opponent to one shot on target. Except, they did both against West Ham. It’s now four clean sheets from the last five games for Silva’s Blues - with their own disastrous defensive performance coming in the second period of the defeat to Newcastle United. They’ve managed to hold off Chelsea and Liverpool - and in impressive fashion too. While Manuel Pellegrini’s Hammers offered little going forward, it’s still more positive signs for the Blues. West Ham may have the mercurial Manuel Lanzini back in the fold following his long injury layoff, but the Argentine could fill the void of the missing Felipe Anderson. The Brazillian has been the stand-out performer for the Hammers during this campaign but they missed him immensely on Saturday evening. Pellegrini changed his system to make up for the absence, but neither Marko Aranutovic or Lucas Perez could make anything happen in the forward areas. Arnautovic’s substitution was met by boos from fans seemingly unhappy with his lacklustre performance. Pellegrini will have to address the situation before the Hammers slip back down the table.